Set in an area of outstanding natural beauty in the North Pennines, this cosy newly built one bedroom self-catering holiday cottage has stunning views of farming and North Pennine fell land and is a perfect retreat for a single person or couple wishing to enjoy the unspolit Northumberland countryside whilst being within easy reach of local attractions, such as Hadrian's Wall and Newcastle city centre. 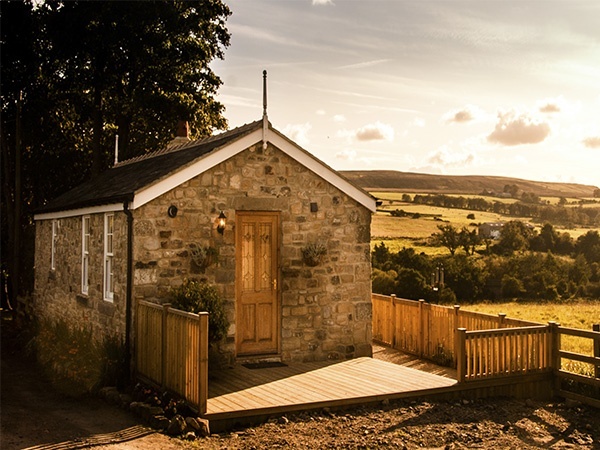 Situated on the edge of a working Northumberland stock farm and minutes from the Derwent Reservoir, “Derwent View Cottage” is an ideal retreat for walkers, cyclists, birdwatchers, artists, golfers, fishermen and other watersports fans or those simply looking for rest and relaxation in a tranquil, idyllic setting that is the Pennines. 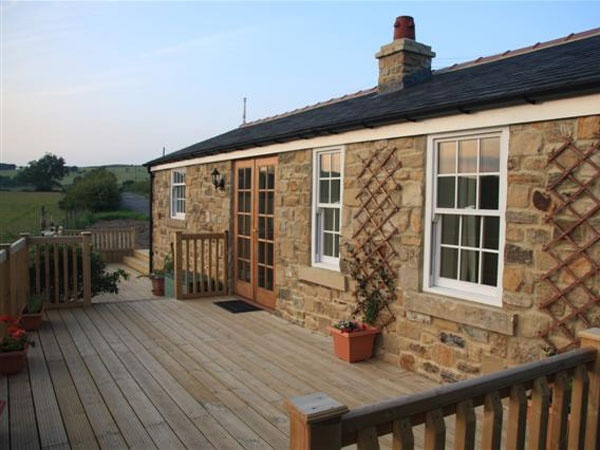 Lovely cottage in beautiful surroundings. 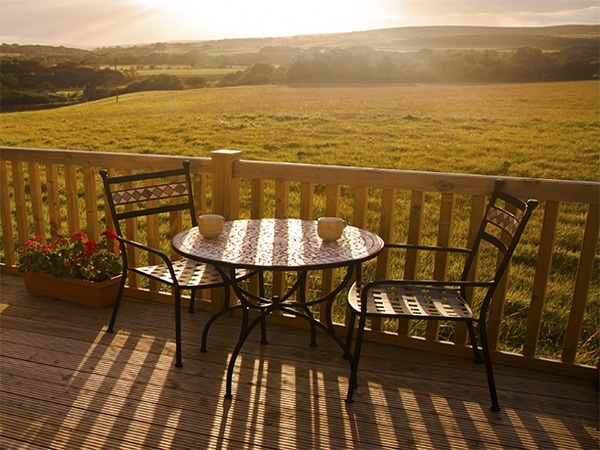 Everything you need and more, for a holiday cottage. We have visited somewhere different everyday, and been quite lucky with the weather. It’s lovely to watch the birds from the kitchen window, we have also seen the woodpecker a couple of times. Thank you to Pat & John for the milk, wine, biscuits and flowers. Much appreciated. Many thanks for the friendly and warmly welcome – especially for the little extras. 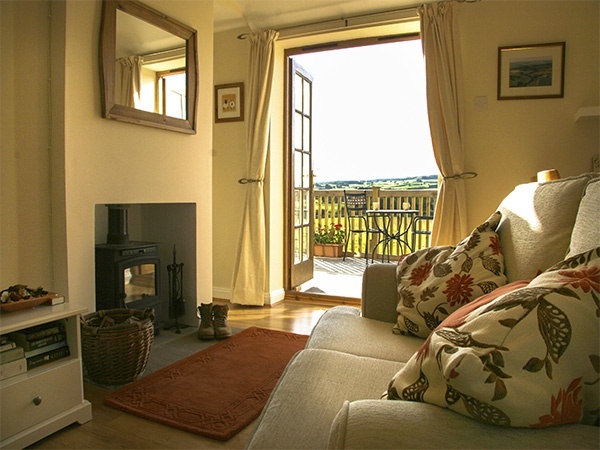 The cottage is so lovely and well decorated – it has everything you need and wish. It was an enjoyment with good weather, watching the beautiful sunset and relaxing when using the woodburner. The view is great and we’ve enjoyed the magnificent landscape on several walks. Thank you Pat and John. We’d be delighted to visit you and your cottage again. 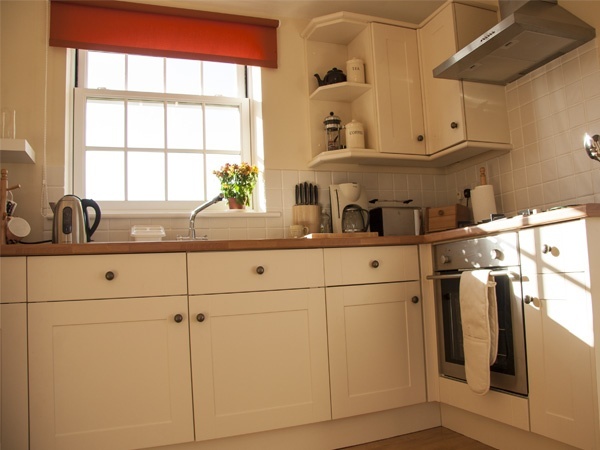 Derwent View Cottage offers open plan living accommodation with a well-equipped kitchen containing both breakfast bar and separate dining table. 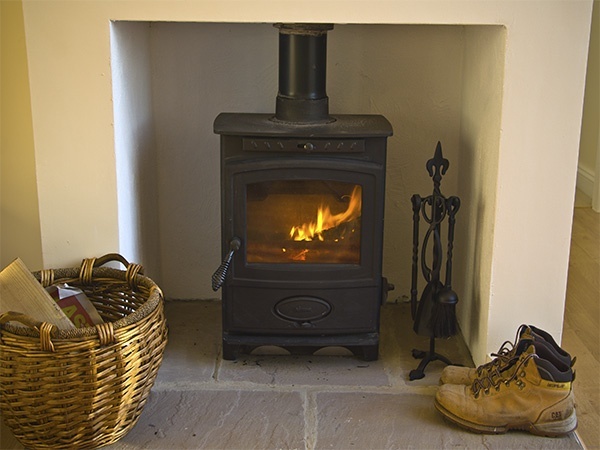 The comfortable living area includes a wood burning stove with firewood provided, and a flat screen television with freeview and DVD player. 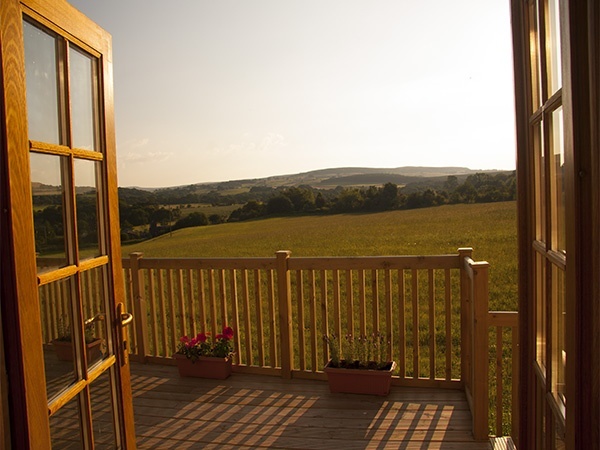 Patio doors open onto extensive decking with uninterrupted south facing views of the North Pennines. 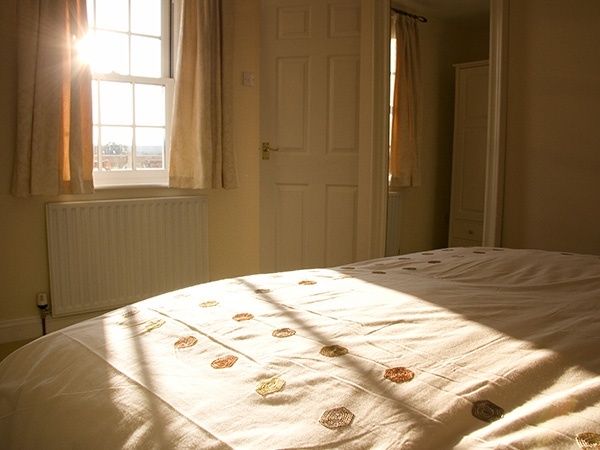 The Cottage contains one double bed bedroom with linens provided. The separate bathroom contains a bath with overhead shower (towels are also included). Externally there is private parking for 2 cars.